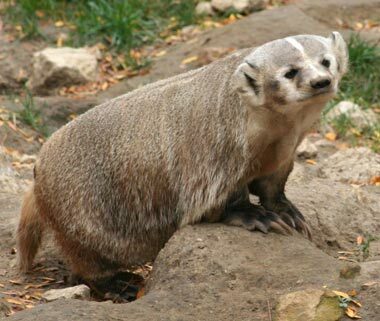 Badger at zoo in Madison, Wisconsin; photo by Sean Lamb on Flickr (noncommercial use permitted with attribution / share alike). The nickname for Wisconsin is "The Badger State." 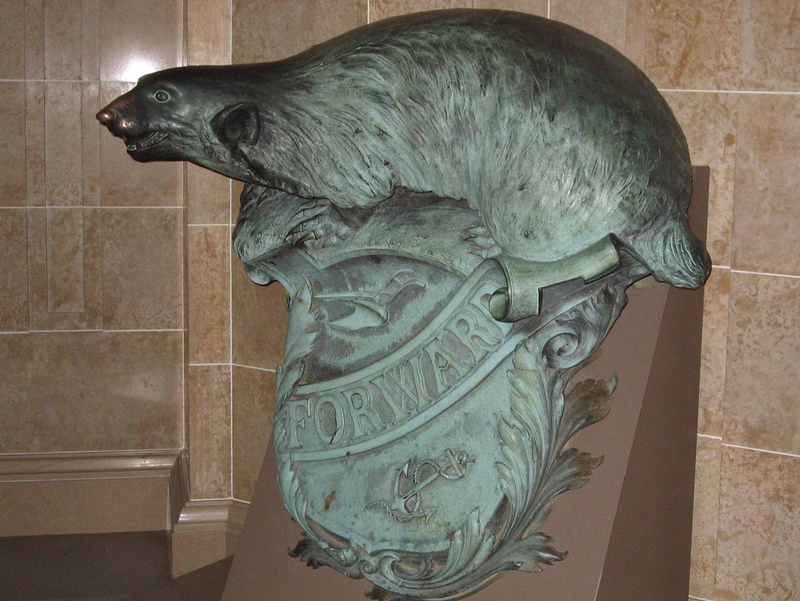 The badger is featured on Wisconsin's coat of arms, state seal, and state flag, and is also the official state animal.